ActionAid Ireland has a long history of promoting women’s rights in the Global South and more recently in Ireland. Our programmes have supported women to prevent and respond to gender based violence (GBV), to generate income and to have to have an equal say in community level and national governance. Our programmes have evolved over time to respond to the changing needs and contexts of our overseas partners: local women’s community organisations. In 2016 we carried out an evaluation of our Women’s Rights Programme which told us that we were doing a great job in raising awareness about women’s rights but that we still had a long way to go to really address the root causes of GBV and exclusion of women. We took this information on board and decided to find a way to improve our work and to really address the underlying causes of the problems women face. In 2017, we were granted funding from Irish Aid for a five-year Women’s Rights Programme that focuses on analysing behaviours of women, men, girls, boys, service providers – any member of society that needs to change to their behaviour to support women’s rights, including women themselves! We are using an innovative approach called ‘Behaviour Change’ which was developed by University College London to tackle health related issues. This is the first time it has been used in tackling gender inequality. How does behaviour change work? opportunity (O) to practise the behaviour and what motivates one to practise the behaviour (M). Whilst it still raises awareness about and tackle gender inequality, it seeks to positively shift the mindsets, attitudes and subsequently the behaviours of people so that women and girls can enjoy a life free from violence and have more secure livelihoods. We’re working with groups of women, men, elders, community leaders, police, government departments to change the behaviours that keep women in poverty. Lady Constance Ludi – the only lady chief from Taita Taveta county – recently completed behaviour change training. The training enhanced her already existing knowledge and skillset and she gathered the local women together. 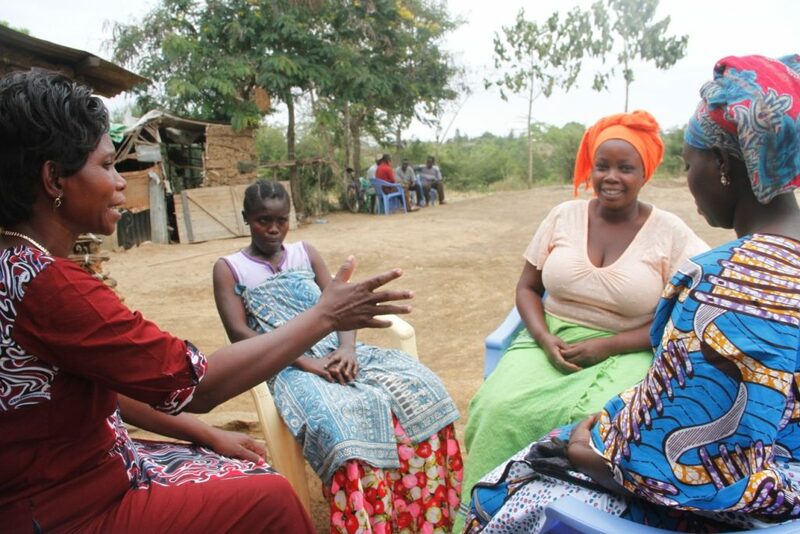 As a group they identified gender-based violence as the primary issue in their county. Using the Behavioural Change Approach, they identified that the majority of the women in this region were unaware of their rights and in turn, were holding back from reporting cases of gender-based violence. After further analysis, they noticed that there was no referral system in place in which patients were referred from the doctor to the hospital or social worker, for example. They focused on education as their intervention function and organised forums online to educate women on their rights and make them aware of their available referral mechanisms. Because of this, the county government made additional resources available. There was an increase in the reports of gender-based violence as a result of both the behaviour change approach and Chief Lady Constance making women’s rights a personal priority. Read the independent evaluation of the Women’s Rights Programme 2012-2015 here. The Women’s Rights Programme was shortlisted for the Dóchas Innovation Award, read more about the nomination by clicking here. You can read some of the highlights from our Women’s Rights Programme 2012-16 here. ActionAid Ireland are a member of the Irish Consortium on Gender Based Violence and the National Observatory on Violence Against Women.